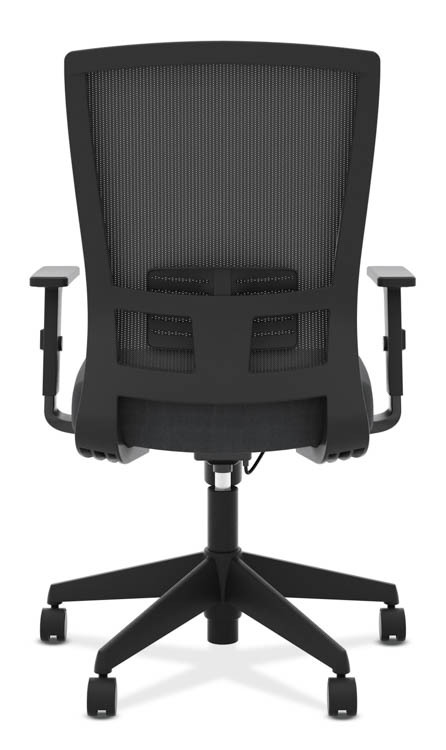 This HON mesh back task chair with adjustable lumbar support features upscale design at an unbeatable price. Adjustable-height arms allow users to rest their forearms while typing. 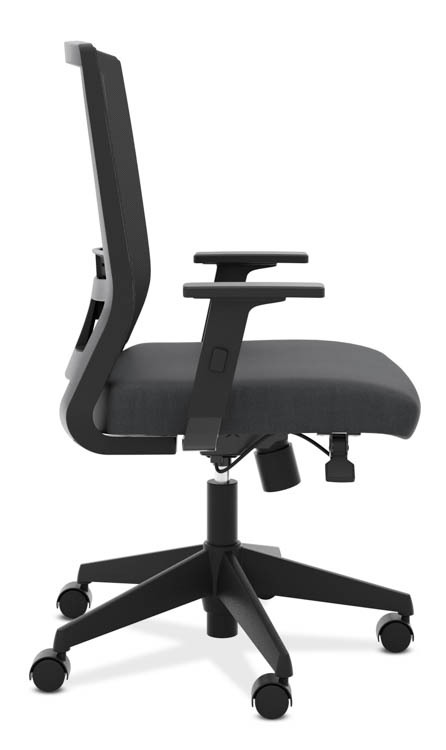 Convenient center-tilt with upright lock allows the user to recline, and the tilt tension control adapts to people of differing weights. Pneumatic Seat Height Adjustment, Tilt Tension/Tilt Lock. Mesh, upholstery and base color is Black.